During August and September of 2008 I took over the main gallery space of The Lab in San Francisco. During my time in the space I interacted within the space with the wealth of material that The Lab had accumulated over the years. Engaging the physicality of the space with the materials available, I set about an ongoing series of actions. Deviating from the typical installation-exhibition-deinstallation cycle, the show opened shortly after I arrived in the space and closed shortly after I stopped working in the space. 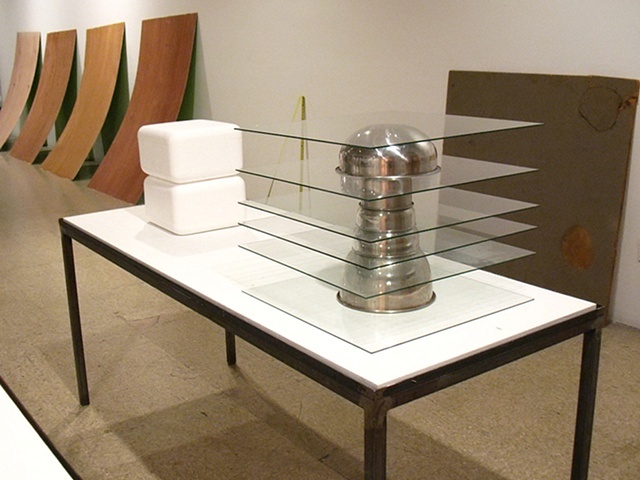 Allowing the site to act as a collaborator, I produced a series of shifting objects and situations. The audience visiting the space could view the work in a static state while I was absent, or come while I was in the space and witness the work in a state of flux. Viewers were encouraged to visit and revisit the space as the collaboration evolved.